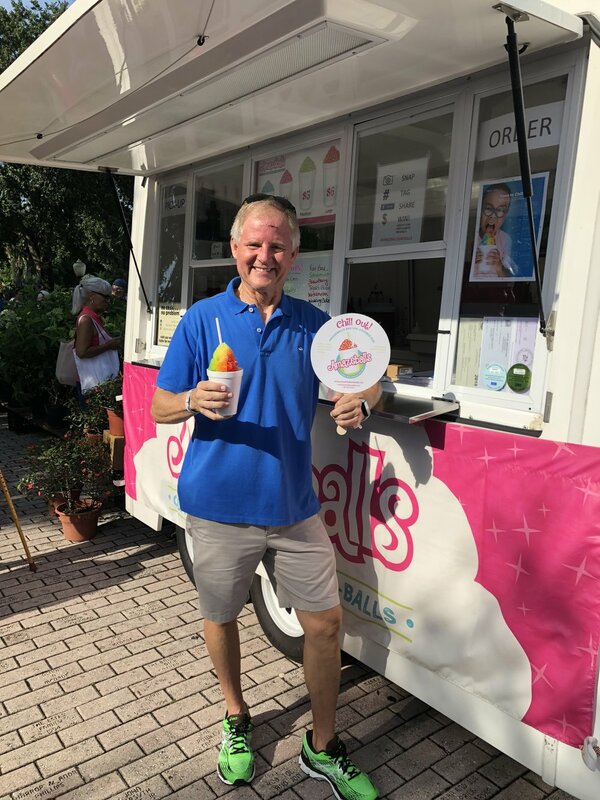 Sno-balls have been a quintessential summer treat in New Orleans for nearly a century, and now Central Floridians can enjoy them year-round at Amazeballs Classic New Orleans Sno-Balls. Sno-balls (not to be confused with snow cones) are an authentic New Orleans frozen confection and have been enjoyed by generations of New Orleanians since the invention of the original sno-ball machine in 1936. Today, you can find sno-ball stands in nearly every New Orleans neighborhood, often with long lines wrapped around the block, especially in the hot summer months. Locals will happily point you to their favorite stand and even make flavor recommendations! Amazeballs owner Dawn Ofodile attended Loyola University in New Orleans where she was introduced to sno-balls and quickly became a sno-ball connoisseur. Having relocated to Winter Park from New Orleans, Dawn is on a mission to share this fluffy, icy, sweet treat with all of Central Florida. You can find Amazeballs Classic New Orleans Sno-Balls every Saturday at the Winter Park Farmers' Market in lovely downtown Winter Park. We are also available for your parties and special events, so be sure to contact us for more information! Add a unique twist to your special event, and let Amazeballs bring the party to you! We would love to help make your celebration even more memorable and are available for birthday parties, school festivals, athletic functions, employee and customer appreciation events, weddings, and much more. Contact us for details! Please contact us with questions or to reserve Amazeballs for your special event!